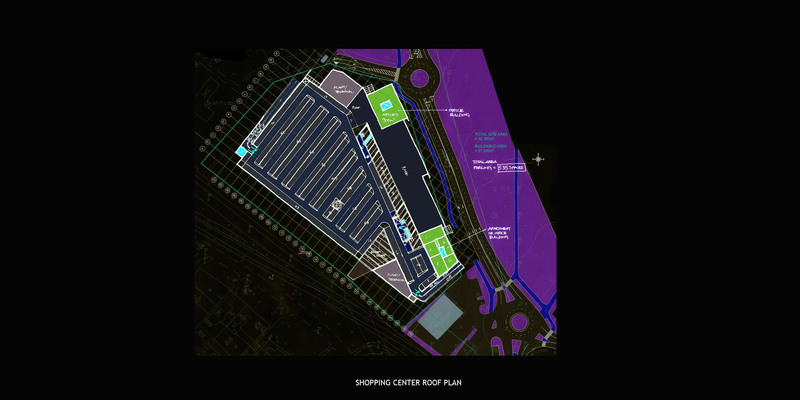 The study was based on a scheme of the future shopping mall provided by the developer. 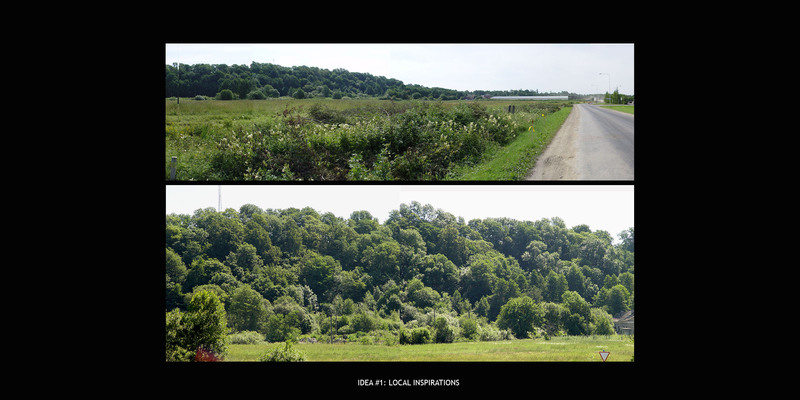 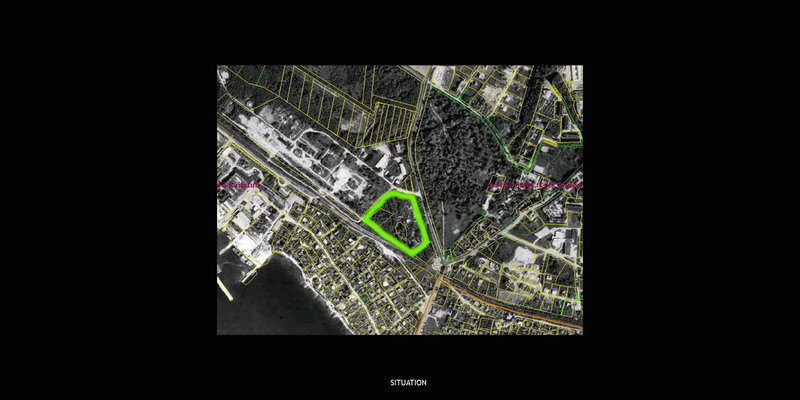 A large mall would be coming to the “gate” of Tallinn’s green suburb Viimsi, and would thus need to be contextualized. 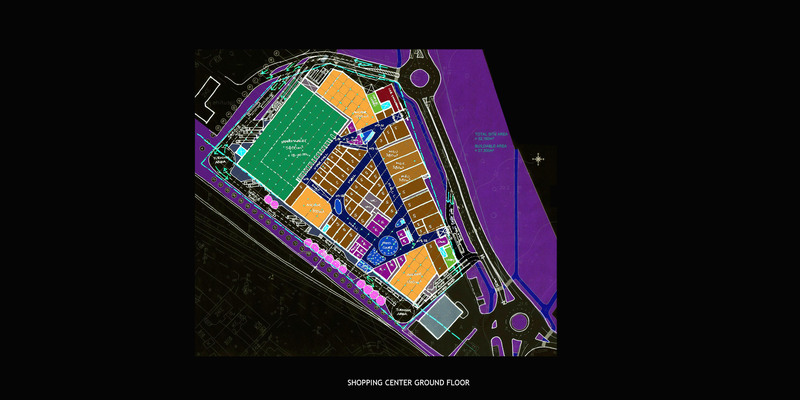 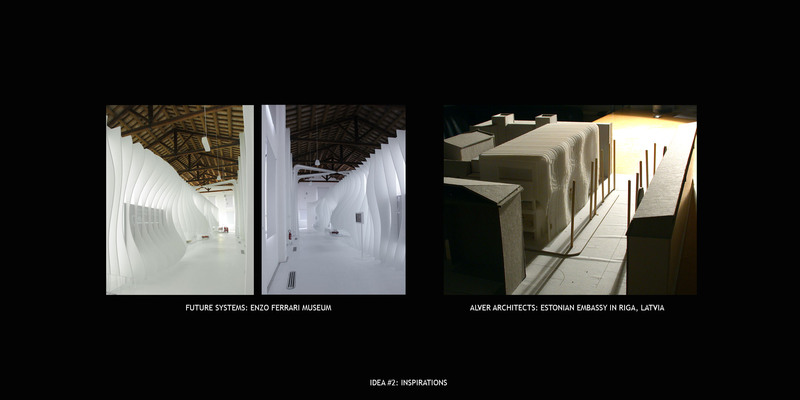 The design process drew inspiration from the location of the proposed mall and Viimsi’s general development directions. 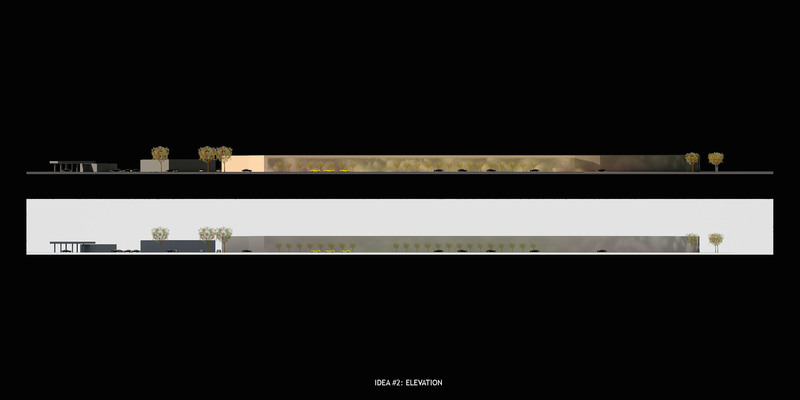 – over Randvere St., the mall would be facing Viimsi Manor Park. 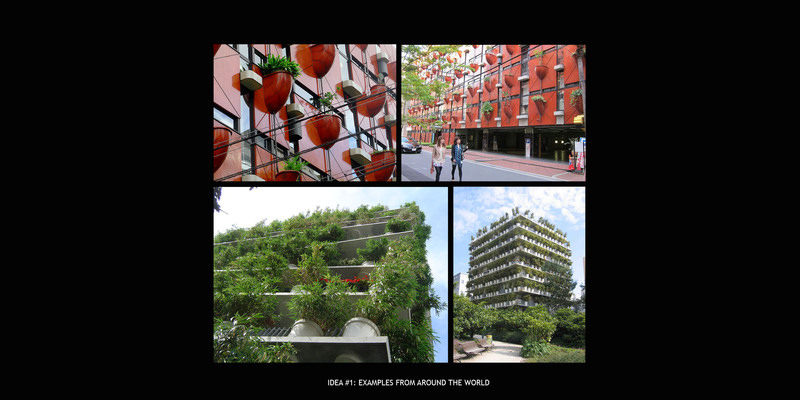 2. facade as a happening or an art object. 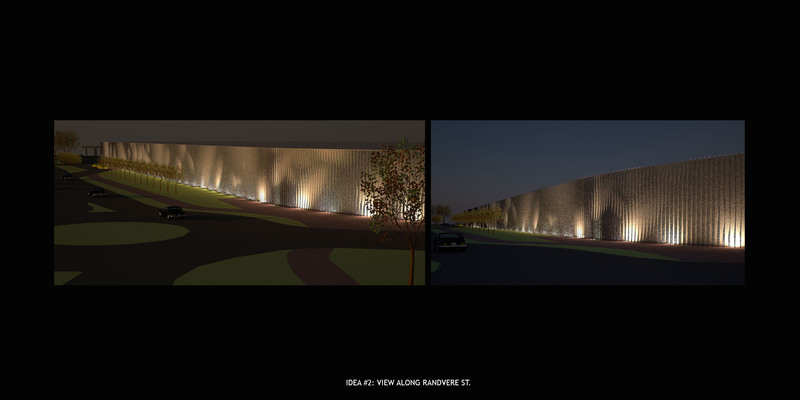 The premise was to relate the facade of the mall to the park across Randvere St. 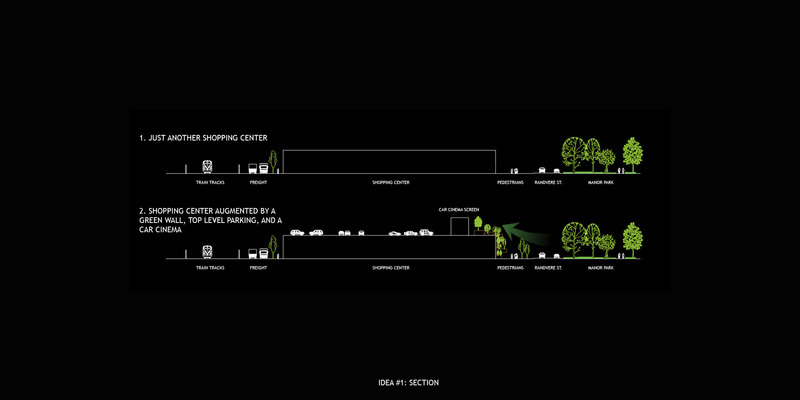 Conceptually, the park would stretch all the way to the mall and then turn upward, onto the mall’s wall. 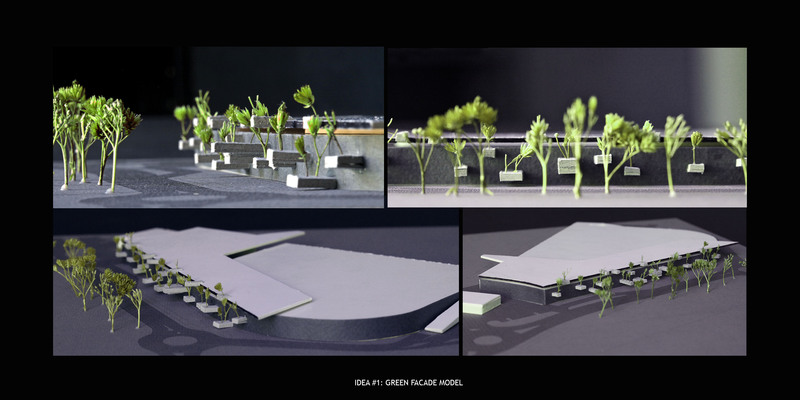 This would be executed by placing cantilevering soil-filled volumes with various plants onto the wall of the mall, as well as adding vegetation along Randvere St. 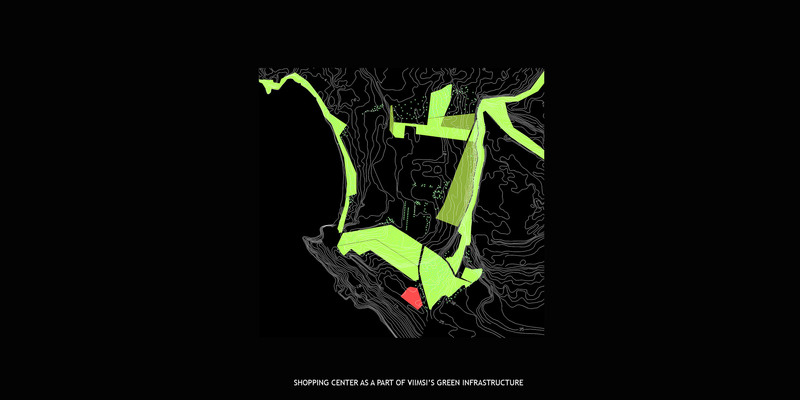 The wall of the mall would not be the only horizontal element in Viimsi’s miljoo: there is a long and relatively low limestone precipice, agricultural fields and Soviet-era buildings. 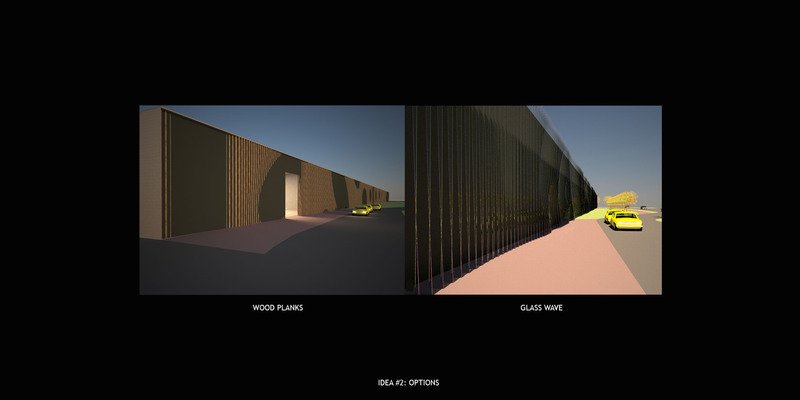 However, 170 meters of wall could become overbearing and could thus use some diversity. 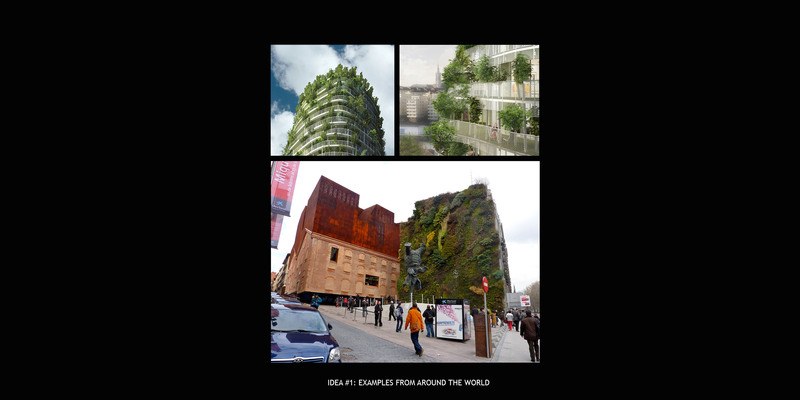 One of the ways to accomplish this, would be to place vertical varying-section elements onto the facade, lending it a dynamic feel when walking or driving by. 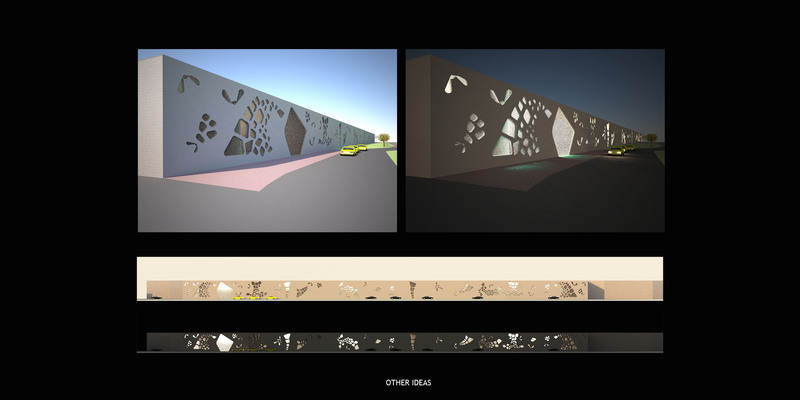 Apart from the two above, other ideas were considered, for example, a double facade that drew inspiration from the fossils found in the nearby limestone precipice, and randomized “window” patterns.